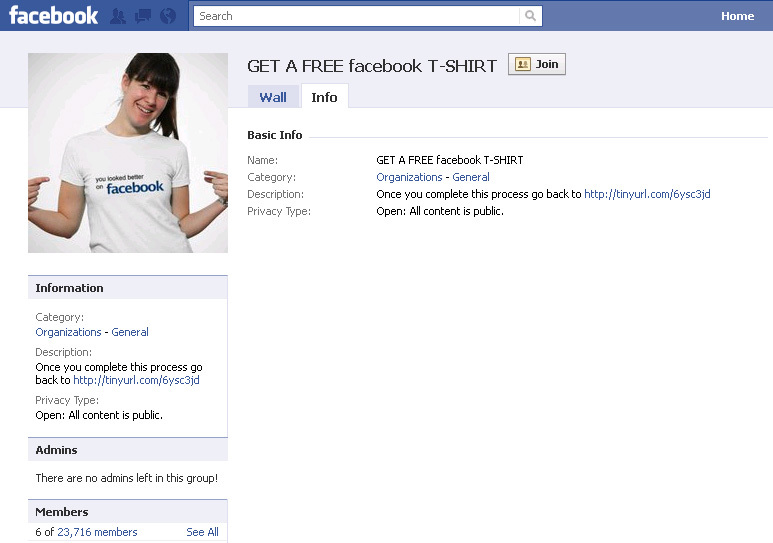 In the series of Scam.A new scam is going on facebook called FREE FACEBOOk T-Shirt .It is fake offer scam which started in the month of April.. 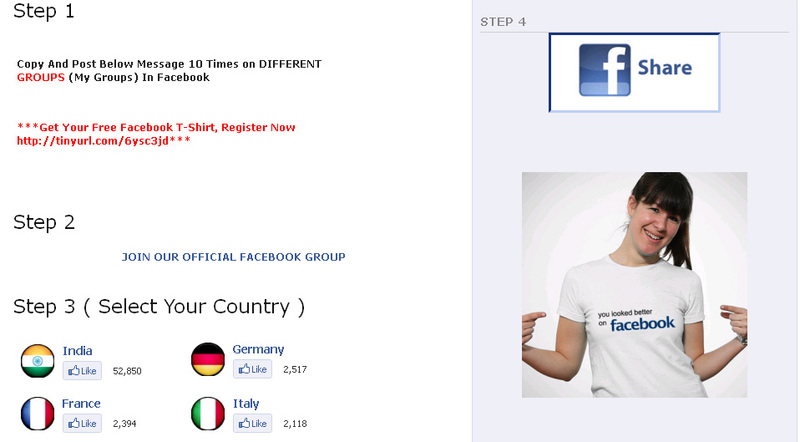 It is a scam when you click on this message you will go on another page..which look this. 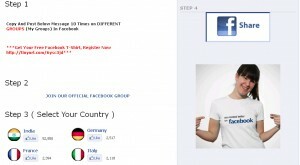 This page is strictly designed to steal the information of user.When you submit your information it will ask you to share their page with your friends which send a scam Message to your friends.They also ask you to join their group. If you alrready liked this page then be preapred to do some clenup action. Remove the item from your wall by clicking the small “x” in the top right hand corner of the post. It would also be a good idea to remove yourself and report the bogus group you joined. If you submitted any information like name,address, etc. then keep your eye on your credit and make sure no identity theft are made. If you have fallen any type of tricks then be careful and be sure to join us on facebook to get the information on latest scam.